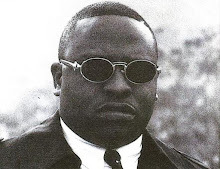 Big Boss was a full time producer and a part time rapper from the notorious boulevards of Houston, TX. 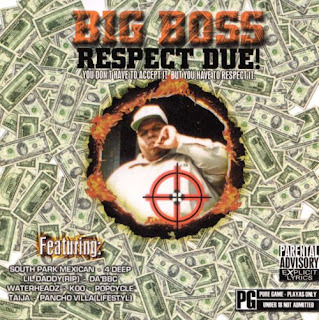 Considered by many to be a pioneer for the Hip Hop scene in Texas, Big Boss first started off with his cousin, Original E, in the group called, O.G. Style. Together, they released their highly desirable debut album in 1991, known as "I Know How To Play 'Em," on Rap-A-Lot Records. The two had some moderate success before deciding to part ways. Original E kept the O.G. Style name and recorded under that moniker while Big Boss formed the infamous group, 4 Deep with his brother Koo Rod and Klas' One. Respect Due is his debut solo album and it was released in 2000 on Power Move Music. Production is solely handled by Big Boss himself, and he certainly does not disappoint. Known for providing some hard hitting bass lines and intoxicating hooks, he uses his classic approach and melodic methods to construct the rhythms. The beats are hard, edgy, groovy and funky, all at the same time. His production skills are deadly and they definitely show his veteran and accomplished status in the music industry. 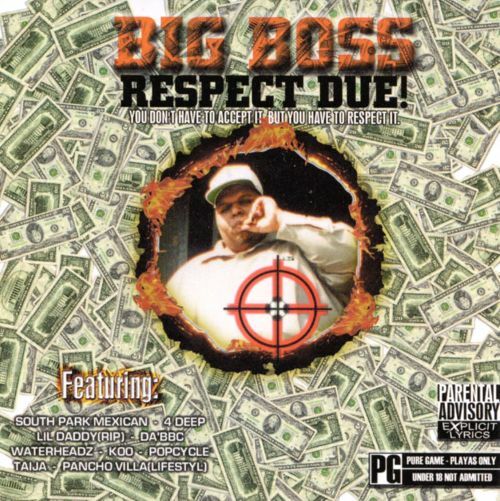 Big Boss raps on a few tracks but mostly, he lets his associates take full control of the microphone. Lyrically, the album is quite strong. The artists are used precisely on a given track and they certainly give it their all. Their rhymes compliment the production pattern well and the features don't seem out of place. Guest spots are courtesy of 4 Deep, The Funky Products, South Park Mexican, Da BBC, Lil Daddy, The Waterheadz, Popcycle, Taija and Pancho Villa of Lifestyl. The record signs off with a total of fourteen polished tracks with varying subjects. Overall, it's an impressive work of art by a renowned legend. Not enough can be said about his proficient prowess or his valuable importance in the underground scene from the South. Sadly, Big Boss passed away in 2006 due to kidney failure. He was working on the reunion album for his group, 4 Deep. Rest in peace, to one of the best that ever represented for Houston, Texas. * R.I.P to the masterful, Eric "O.G. Style" Woods. * Original E, passed away two years later in 2008.